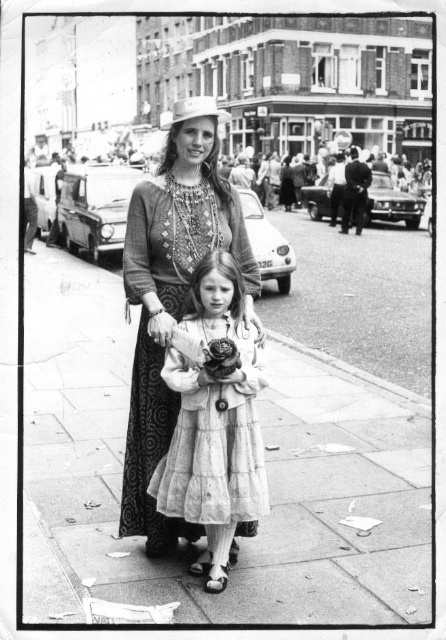 Fiona with daughter Kate at the 1976 Fitzrovia Festival. Imagine Tottenham Street, Fitzrovia in 1964. Shortly after moving in with her boyfriend at number 28, 20-year-old Fiona Green looks out of her window to see the Beatles filming their new picture “A Hard Day’s Night”, enthusiastically leaping out of the entrance to the adjacent mews. She takes it in her stride, since first visiting the area two years earlier, as an 18-year-old art student, she had become enmeshed in the artistic and literary life of London, and befriended some of its leading players. In the years that followed, her Tottenham Street home was to become a hub of bohemian and political life and Fiona its queen. A “Raj baby” born in India, Fiona’s family moved to Australia, her mother’s home, and then on to England in 1954. A trial day spent at A S Neill’s experimental school, Summerhill, shocked the young Fiona after her antipodean education at a “ghastly Presbyterian girls school”. She and her three younger siblings were sent to Dartington Hall as its progressive approach to education was inspired by the teachings of Rabindranath Tagore, and Fiona’s mother, an unusual combination of debutante and socialist, was a disciple of the Bengali poet and musician. A spell at Dartington College of Arts followed, where a fellow student was George Passmore, better known as the English half of the art duo Gilbert and George, then a young married man. Studies in art at Corsham (Bath Academy) followed, and it was here that she was taught by artist Bill Crozier, who became her lover and introduced her to the social whirl of Soho. Fiona painted by John Bellany in 1976. “We just lived in Soho”, explains Fiona as she recollects time spent in the infamous Caves de France “a long dark space and people in all states of undress”, the Kismet and the Mandrake, “all wonderful drinking holes”, and of course Muriel’s, better known as the Colony Room Club, where the acid tongued Muriel Belcher held court. Photographers John Deakin and Harry Diamond, writer Jeffrey Bernard and the painter Robert MacBryde were all friends. Soho could also be dangerous at times, and Fiona recalls a nasty incident that started with an inadvertently spilt drink in The French House and ended with her party being set about in Romilly Street by thugs wielding baseball bats. It was in The French, at the tender age of 18, that Fiona was first introduced to Lucien Freud, or ‘Lux’ as she knew him, drinking with Francis Bacon. It was a brief encounter, as her boyfriend hustled her off, knowing Freud’s reputation as a womaniser, but one that was to make a big impression. In 1964, Fiona met publisher Martin Green in the Museum Tavern, and they clicked immediately. Twelve years her senior, and already the father of three young children under 12, they set up home in his three storey flat above a Georgian shop at 28 Tottenham Street, where Fiona has lived ever since. What is now a Nail Bar on the ground floor was, until around five years ago, a cobblers for three generations. In the eighteenth century, it was a pub and the area was latterly predominantly German. Three German families used to lived there and the Communist Club at the other end of the street played host to Marx and Engels. A combination of Fiona’s love of the old building and a penny pinching landlord means that little has changed in the last 50 or so years, and one of the bedrooms still has gas mantels above the fireplace, and another the original butlers sink. Martin was a successful young editor at publishers MacGibbon & Kee, having published Colin MacInnes’ novel “Absolute Beginners” in 1959. He went on to start his own publishing house, Martin, Brian & O’Keefe, and their home was an “open house” for writers, poets and artists, visiting or staying there. Patrick Kavanagh (“as great as W B Yeats” in Fiona’s opinion) Flann O’Brien, Robert Graves, Hugh McDiarmid were all regulars. The Irish writers attracted Irish musicians and the house was full of talk and music and fun. Martin and Fiona had two children in quick succession, son Barnaby in 1965, now a complementary therapist, and daughter Katy, an artist, in 1966. The front door was rarely locked, and it was so quiet that the children would play football with the local restaurateurs’ kids in the street outside. 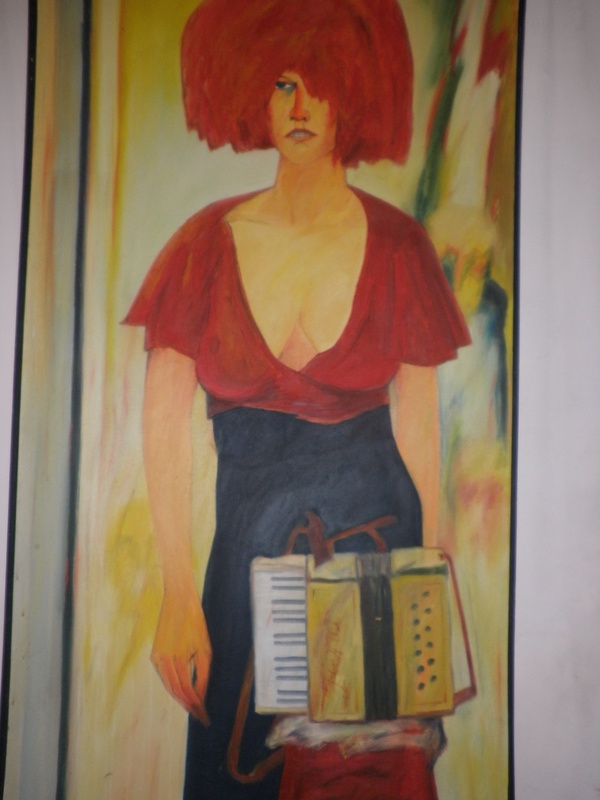 Corsham Art College was a real hothouse of talent around this time and many artists visited, including Royal Academician John Bellany, whose 1976 portrait of Fiona sporting a majestic orange wig still takes pride of place in her living room. Such was the extent of their hospitality that some wag once scratched “Corsham Dosshouse” on their front door. Against the backdrop of this unconventional home life, Fiona carved a very successful career in education. That she should serve society was a principle ingrained by her mother, and Fiona taught in Islington. Initially at primary level so her kids could accompany her, then secondary school at Riding Hill (latterly Starcross) where she ran the art department. She specialised in working with difficult children, then was given her own building to work with truants and to operate as she pleased. Fiona ran it as a free school within the State system for three years. She often had to find her flock on the surrounding estates – two of her girls were prostitutes in Kings Cross. 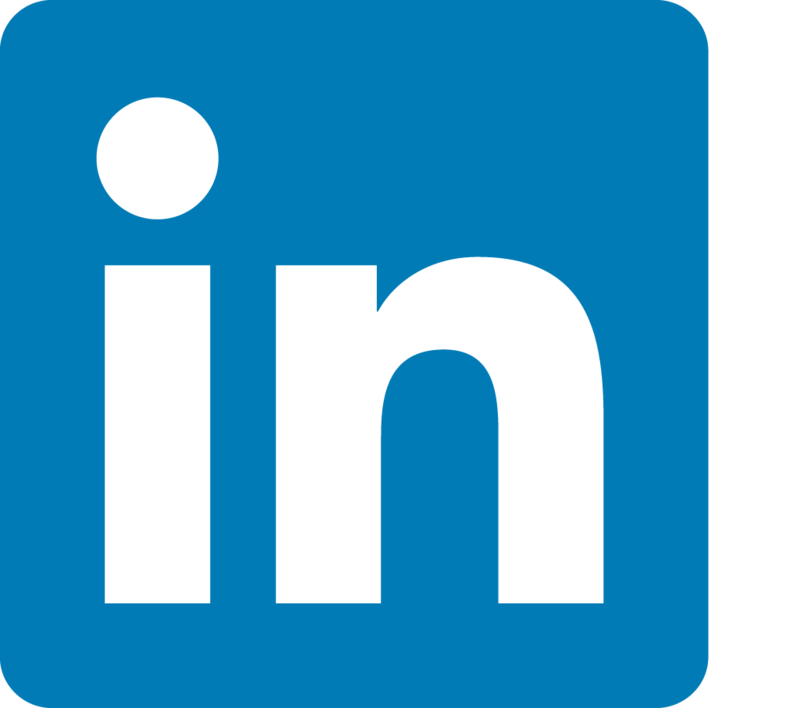 A Masters Degree was followed by ten years with Professor David Lane working with very tough, violent children, and a period directing education programmes in Southwark. Martin’s mother was very senior in the Chinese Communist Party, having worked on a magazine called “China Reconstructs” with Chairman Mao. This resulted in their house being considered safe by African National Congress to use for meetings by South African exiles (many later served in the government). Their nearby headquarters in Rathbone Place were constantly raided. Fiona fondly remembers Thabo Mbeki (later to serve two terms as the second post-apartheid President of South Africa from June 1999 to September 2008) as “an interesting, educated, lovely man.” His father, Govan Mbeki was imprisoned for 24 years on Robben Island with Nelson Mandela, and not released until 1987. Fiona and family would vacate the house, by previous arrangement, during the meetings, but when they had ended the drink would come out and the dancing and singing would start, often featuring the wonderful ANC choir –“it makes my spine creep just to think about it.” [See book review]. Opposite the house was The Scala Theatre, originally built in 1772, and in its sixth incarnation when it was sadly demolished in 1969. Fiona would help out at The Other Cinema in the basement, and remembers Jane Fonda coming to speak about the Vietnam War in 1969. Pollocks Toy Museum was a working mens’ café, Gigs was owned by “a real villain of a Greek priest” and more recently, in the ‘90s, Fiona was one of the first through the door of the UK’s first internet café on Whitfield Street. Another family that has featured very large in Fiona’s life is that of Dylan and Caitlin Thomas. Their daughter, the writer Aeronwy was her oldest and dearest friend, having met at school aged 15. Father Dylan was already dead when Fiona holidayed with the family in Sicily in the late ‘50s and met Aeronwy’s brother Llewelyn. It was not until Caitlin Thomas’ funeral in 1994 that they met again and spent the next six years together until his untimely death in 2000 aged 60. The oldest of the Thomas children, Llewelyn had a very successful career as an adman with J Walter Thomson, including creating the copy for the famous Campari ads of the ‘70s. From helping to organise the first Charlotte Street Festival in 1973, Fiona has been extremely active in Fitzrovia life for many years. Corinne Heath and her husband artist Adrian, another Corsham teacher, lived and worked at what is now the Rebecca Hossack Gallery on Charlotte Street, and Corinne was her mentor and inspiration in matters of social responsibility, reminding Fiona of her mother. 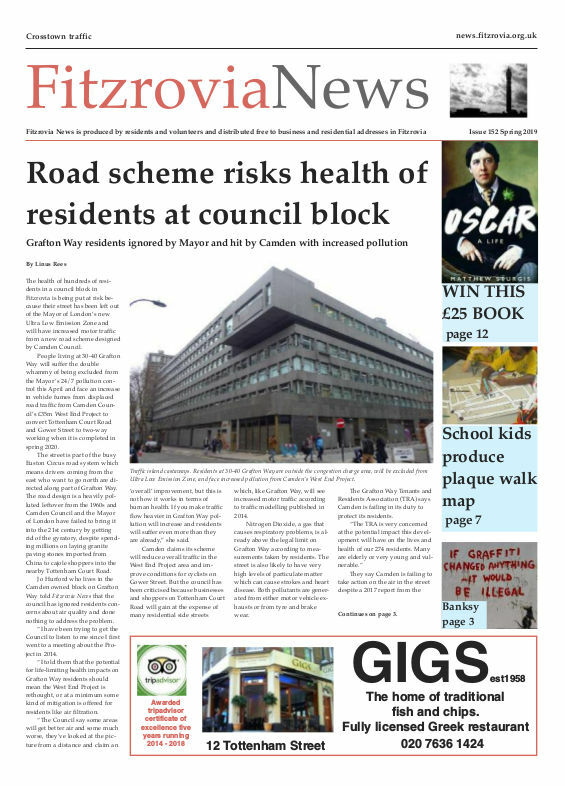 A trustee of Fitzrovia Neighbourhood Association, the Fitzrovia Trust, and a member of the Charlotte Street Association, Fiona has contributed many articles to this newspaper. She also set up the Fitzrovia Womens Writers group, with Rita Ali; Transition Fitzrovia, with Nazreen A Subhan, to establish a physic garden on the old Odeon site at the junction of Grafton Way and Tottenham Court Road; and negotiated with developers Exemplar to display art in and around the old Middlesex Hospital site. Also, for the last two years she has led an Art Group at the American Church Soup Kitchen for the homeless and halfway housed. Now she is having to leave her beloved Fitzrovia, as an unheralded rent hike of 100 per cent, further increased by a rent tribunal, has made her position here untenable. Fitzrovia is changing, and sadly not always for the better, as the people like Fiona who gave it the thriving artistic image it now trades on (over 50 art galleries, and counting) are edged out by the division of old properties into tiny, expensive flats, unaffordable by locals.